Rheem Water Heaters has been around for many years; every product that they sell is nothing less than good quality heating products. The Power Vent Series is available in a 40, 50, 60 and 75-gallon tall tank models and a 40 and a 50 short gallon tank models. The Btu’s per hour range from 36,000 inputs to 75,000 inputs. This Series has a 6 year limited tank warranty for parts and for the tank. But if you upgrade to the Protection Plus warranty, the 6 years extends into a 10 year limited warranty. The Power Vent has some great features that other systems don’t offer. Standard on all systems is an electronic ignition system, which is a huge safety feature. It has a quiet blower operation, and the heat traps are included with the water heater. Not many water heaters will have that. The Power vent 75 has a brass drain valve and is available in natural gas and they all meet low NOx requirements. You don’t need any fancy outlets the power vent 75 uses a standard 110 v outlet and connection. The Power Vent Series comes with Rheem’s patented Guardian System, which offers double the protection of the water heater, twice the protection as other heaters. Power Vent Series has a Flammable Vapor Detection Sensor that works as a protective water heater control system that will stop the heater from working when flammable fumes start to build up in the room the water heater is located in. These safety features are terrific, there are so many water heater accidents every year because they are not equipped with the safety features the Rheem Water Heaters do. You will also get the benefit of a self-diagnostic system. This system was created to help homeowners as well as technicians to diagnose the problems with the heater rather quickly. Just straight answers no guesswork. Having this system will save you money in the long run because if you need maintenance you won’t have to pay for hours of troubleshooting, the problem is right there. The Power Vent has a Self Cleaning System called EverKleen. This system helps prevent build up of sediment from forming in the tank. The Self Cleaning System is available on the 40, 50 and 60-gallon models only. The Rheem Water Heater is designed with a patented magnesium rod design, and uses a special rust resistant coating. The Power Vent meets the high altitude compliancy. The tall model water heaters are approved for 7700 feet above sea level and the short models are certified for up to 6000 feet above sea level. For more information on parts for installation you can read the manual for these heaters on Rheem’s website. Rheem only offers their customers high efficiency water heaters that have been designed specifically to help their customers save money and get more for their money. 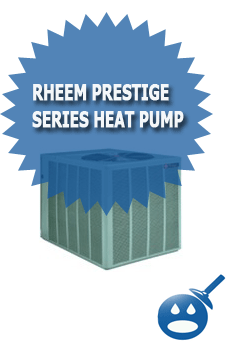 Buying anything but a Rheem is a mistake. We have (I believe) a Rheem powervent water heater that was installed just a few years ago… For the first time ever it had to be reset over the weekend. This morning it was off again and my husband reset it… my daughter took a shower and when I got up the water heater was running. some 20 minutes later I noticed the water heater was still running and mentioned it to my husband… about 20 minutes later we smelled electrical burning and it had gone out again… and could not be reset (not that we would have wanted to reset it at that point)… I am waiting for a call from my husband to get the exact model number etc… but was wondering if anyone had any ideas on what this could be based on this little information? We had a Powervent installed new in our house when we bought it 2.5 years ago. If you don’t mind having it serviced or parts replace every 6 months and being stranded without hot water when those incidents happen, its a great hot water heater. Honestly, I really hate this hot water heater. Something this relatively new should not have all these issues to deal with. The owners manual is pretty useless so you have to have an expensive “expert” spend about 20 minutes fixing something you could have easily done yourself (if the manual bothered to tell you how). All the sensors and electronics are complete crap that fail all the time. Rheem must of went with the cheapest possible parts when putting this thing together. I’M TRYING TO FIND ANSWERS TO THE CODE PROBLEMS ON A POWER VENT WATER HEATER AND STARTING TO PULL MY REMAINING HAIR OUT. MANUAL IS NOT VERY HELP FULL AND I CANNOT FIND A RHEEM TROUBLE SHOOTING SITE. GIVE ME BACK THE OLD HEATERS THAT RAN 15 TO 20 YEARS WITH LITTLE OR NO TROUBLE. For safety’s sake consider getting a Licensed Pro to take care of the problem your water heater is having. The reason your water heater is locking out is the self diagnostics have detected a fault which does not allow safe operation of the unit. 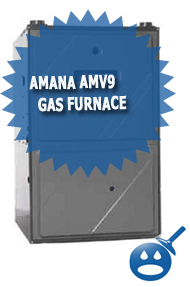 Gas appliances while normally very safe and economical have an ugly side where your property can in an instant be reduced to a smoldering pile of toothpicks on a vacant lot or, your entire household doesn’t wake up in the morning. Please consider the services of a Licensed Pro. Below is a link for the manual for your unit. Please read the entire manual including all safety notices and warnings. Your codes are on page 32. Where can you buy replacement gas valves and burners for these Rheem Ruud heaters, specifically the PVP75 propane valve. Find your local supply house that distributes Rheem/Ruud and you will be able to get the parts through them. I’ve had a 75 gallon natural gas PowerVent for 1 month now and for the last week it hasn’t been running properly. It ran perfect for the first 3 weeks then all of a sudden it started acting up. The model number is 6G75PV – 75FW. It shuts off, 10 seconds later starts up, runs for a few minutes, then cycles again. The customer service from Rheem has been a waste of time so far. They sell the product in my area but have no qualified tech support to come out and see what the problem is. I’ve had 2 different “licensed pros” come out, but they have been useless and nothing is different after they leave. I’m sure I’ll still get an excessive licensed pro bill though. In fact one pro removed a plug, that looks like the cap of a tire stem valve, above the PowerVent and said this should do the trick. All it does different is pump carbon monoxide into the house. The water heater still cycles and doesn’t warm the water up enough. If Rheem can’t get a qualified person to figure out what the problem is soon and at no cost to me, I’m going to get a new water heater from a different company. I would do several things. My number 1 consideration would be to get the person that removed the cap to come back and reinstall it. Especially if flue gases are an issue as you say they are. I don’t know what the part is that you are describing. My next move would be to call the original installer back to troubleshoot and repair unit. 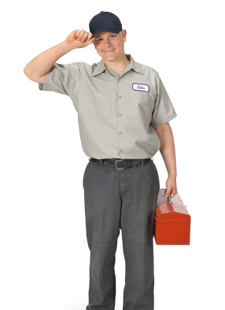 There should be warranty coverage by the installer above and beyond the Rheem Warranty which would cover the troubleshooting and repair. Our company offers a 1 Year Full Warranty on water heater replacements that covers situations such as this. You should have some coverage as well. I have a 1997 power vented HWT (beige w/brown top grill), unit does not turn off, I open the front bottom cover and turn the “Therm-o-” down until it turn the unit off and leaving it at that setting. When unit turns on again it doesn’t stop. I turn the “therm-o” down a little more and the problem still re-occurs, is it possible the “therm-o” need replacing or could it be something else? I have two hot water heaters, and this one only is used to heat my basement concrete floor. I have a 1997 power vented HWT (beige w/brown top grill), unit does not turn off, I open the front bottom cover and turn the â€œTherm-o-discâ€ down until it turn the unit off and leaving it at that setting. When unit turns on again it doesnâ€™t stop. I turn the â€œtherm-o-discâ€ down a little more and the problem still re-occurs, is it possible the â€œtherm-o-discâ€ need replacing or could it be something else? I have two hot water heaters, and this one only is used to heat my basement concrete floor. I would certainly have the thermostat at the top of my suspects list. The problem is with 1997 unit used in that application I’m surprised that it hasn’t been replaced yet. You may want to consider replacement as a possible repair option. My power vented hwh shuts off occasionally, if I unplug it & plug it right back in, it will work for several days & then stop again until I pull the plug again. What could be the cause. I haven’t had a response yet except from you. I plan on seeing a gas installer soon & I Will see if he has an answer. I had the problem of lockout on a model 42vp50f about 3 years old. The flamable vapor sensor went bad. On mine the reset proceedure is to turn off power on the fan and then turn it on. Then turn the red water temperature knob hi and low six times. If the sensor is bad it needs replaced – safety item you know. I think it might be possible to bypass the senor with a resistor in an emergency – but dangerous if it is really detecting vapors. On my pv gas hwh all I have to do is turn the breaker off & on, the water heater starts right up. Must be some kind of sensor that resets when powered down. I guess there are no gas hot water heater experts out there willing to give help for free!!! I just found your post. There are a number of things it could be and it would be helpful to know the model number of the unit. Without that I’m just making guesses across the internet but a very common problem with many of the water heaters is a flame sensor rod needing cleaning off. These rods send a signal that is only a few milliamps telling the motherboard that the unit is lit. it doesn’t take much crud on the sensor to coat the rod and lower the signal or, carbon to short it. Try taking a piece of scotchbrite and cleaning the flame sensor rod, see if that fixes it. If that doesn’t do it I will need a model number so I can see exactly what you have to get deeper into it. We will also have to figure where in the sequence of operation the water heater is when it goes into failure and any trouble codes that are displayed.